O.D. 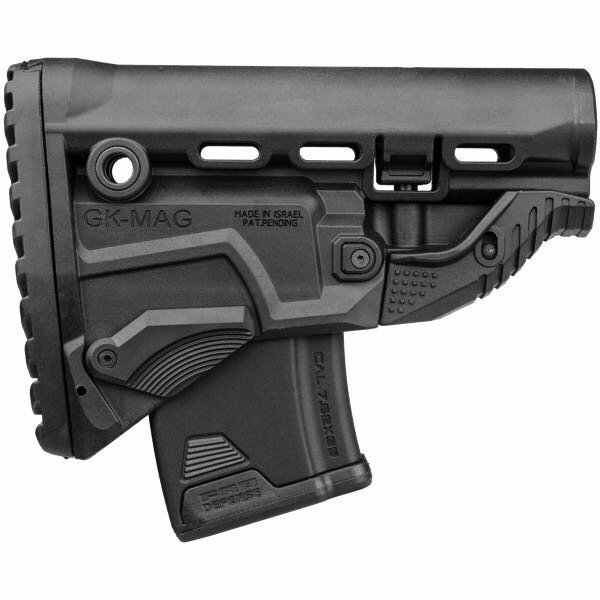 Green GK-MAG Survival Buttstock w/ Built in Mag Carrier. Whether it's your accuracy or numerous target engagements you can depend on your last ten chances with FAB'S Survival Buttstock w/Built-in 10 round Mag Carrier. The GK-MAG incorporates an inconspicuous/sleek AK Magazine Carrier. 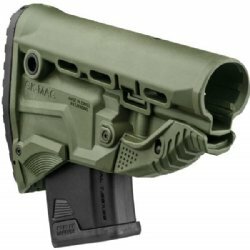 Fits all M4 style buffer tubes.